Sale price is for land, approved plans & paid permits only. Amazing development opportunity in the "bird streets" of Los Angeles. Down a gated long private drive with 9 car onsite parking you'll find a Leonardo Umansky architectural contemporary house - his best ever! This concrete, glass and steel home represents the future of modern luxury in Los Angeles. Huge exterior backyard deck. Deck has 2 pools that combine to 170 foot long infinity edge. Most rooms boast head-on Century City with ocean view! Sumptuous master suite with huge closets and balconies.There are 4 additional bedroom suites including maid quarters and attached guest house. Exquisite Gourmet Kitchen opens to large family room. Movie theatre, gym, Spa with massage room. 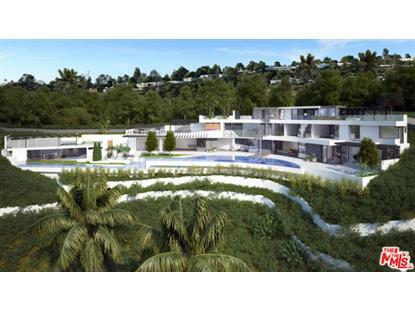 Sited on over an acre of land with sweeping city and ocean views. 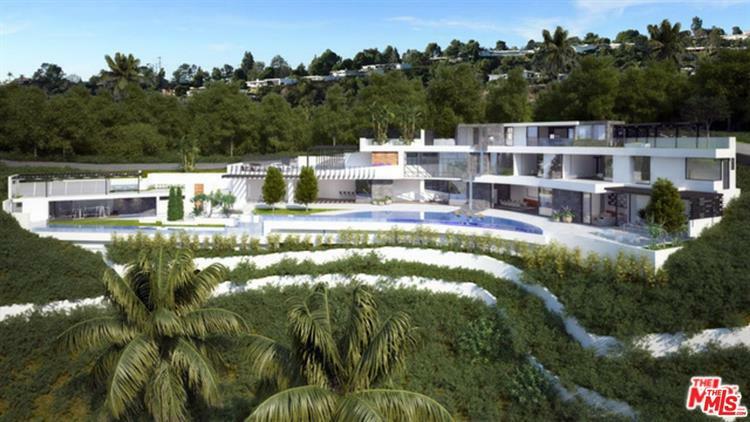 A masterpiece that will usher in a new era of luxury living in Los Angeles.